Precise Counting and Weighing Performance with 30 Item Library — Accurate weighing and counting performance is assured through Ranger Count 3000’s high resolution, 30 item library data storage function, APW low alert and auto-optimization software that reduces errors and ensures accuracy. The Most User Friendly Counting Scale on the Market — The three backlit LCD displays, including a centrally located count display, along with an easy-to-navigate menu, make Ranger Count 3000 extremely simple to use and increase the proficiency of weighing and counting operations. 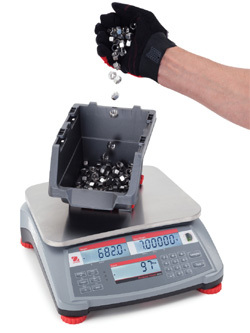 Precise Counting and Weighing with 30 Item Library - The high resolution Ranger Count 3000 has a 1:30,000 display resolution and 1:1,500,000 internal counting resolution. It also features advanced auto-optimization and low APW software which recalculates the average piece weight as the overall weight increases, ensuring accuracy and minimizing counting errors. The Ranger Count 3000 also offers a 30 item library data storage function that can store 12-digit part numbers, average piece weights, checkcounting or checkweighing parameters, tare weights and accumulated weights or counts with quick and simple retrieval of frequently used data. Rapid Stabilization - Ranger Count 3000 produces accurate results within one second. The rapid stabilization virtually eliminates your wait time and allows you to move at a pace determined by you and not your weighing equipment. Work with confidence that your results will be displayed efficiently and with maximized performance. More Connectivity Options - Ranger Count 3000 can support two-scale counting through the optional 2nd Platform to support weighing jobs that require a higher capacity platform or additional platform space. Ranger Count 3000 offers the highest level of connectivity in its class through its standard RS232 with optional Ethernet, second RS232, or USB that offers connection to multiple peripherals. Whether your data transfer requirements are simple or complex, Ranger Count 3000 offers the necessary functionality to meet your needs. Portability and Versatile Power Options - With its convenient integrated carrying handle and rechargeable lead acid battery that can provide power for more than 210 hours between recharges, the Ranger 3000 can provide many hours of uninterrupted operation wherever you need it in your business. The Ranger includes an internal power transformer, so there are no outlet-hogging powerpacks, just a dedicated line cord. 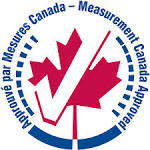 Metrology - The Ranger Count 3000 series of scales meet or exceed the Class III accuracy requirements in accordance with NIST Handbook 44, Canada’s Weights and Measures Regulations and OIML R76-1 (counting function not certified/approved). 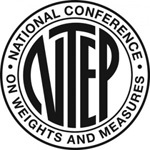 Weighing— Determine the weight of items in one or more weighing units -- lb, oz, lb:oz, kg or g.
Advanced Parts Counting — Count parts fast for packaging and inventory control uses on the line or in the warehouse, with added software for APW low alert and automatic recalculation of APW during sampling. Check Counting/Weighing — Use the bright red/yellow/green LED’s to easily fill containers and packages by weight or by a specified number of parts. 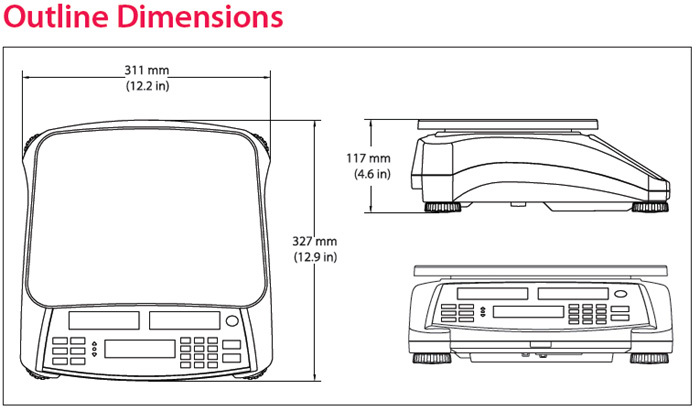 Accumulation — Keep a running total of all items, by weight, parts count or percent of reference. Great for tracking total throughput during each shift. Statistics Printer Ready! - Combine the Ranger 3000 Count with the new OHAUS SF40A statistics printer and keep track of information critical for SQC processes.